Bear Brook Kennel offers a wide variety of grooming options for both dogs and cats. We use tender loving care and patience when grooming your pet and we do not use anesthesia. We provide all-breed grooming services to our boarding guests and the general public. We spend the time needed to make each pet’s grooming visit as enjoyable as possible. This is done in ways such as praise, positive rewards, food treats and TLC. Grooming appointments are available Tuesday, Wednesday and Thursday and must be made in advance. It takes some time to make your dog or cat look his/her best, so plan on dropping your pet off in the morning and picking him/her up later in the day. As for all services, we do require verification of Rabies, Distemper, and Bordetella for all dogs coming in. If you or your pet has never been here before, you can download our "New Client Form" and "Consent Form". Holly has been with us since 2017. She's an excellent groomer and can groom any dog or cat. She has several dogs at home. Please don’t hesitate to call the front desk and schedule an appointment with her. 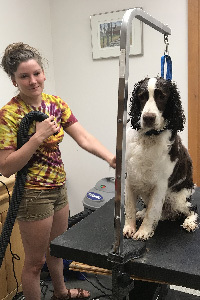 Holly is our A+ grooming expert and is here to pamper and preen your loving pet. Rest assured your furry friend is in good hands. Please give us a call and we will set you up to have your pooch, spoiled and groomed to perfection! We do require all dogs that get groomed are up-to-date on their Rabies, Distemper, and Bordetella (Kennel Cough) vaccinations. Our Groomer can help you make your cat look beautiful (or handsome!) any time of year! Call and ask us what we can do for your cat! The cat groomer and her assistants have many ways of comforting, holding, and soothing your kitty while he/she is being groomed. 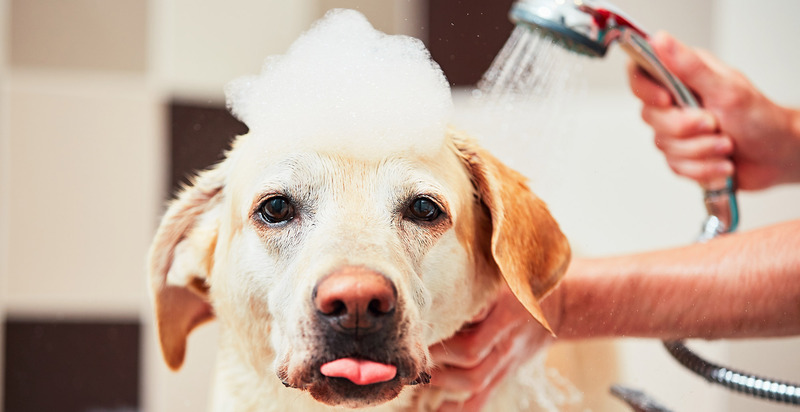 From routine bathing and toenail trimming to in-depth matt removal, we can help! We do require all cats that get groomed are up to date on their Rabies and Distemper vaccinations. There are no exceptions as this is for the safety of our staff.